Great voice! Great songwriting chops! "-Diversion Records. "Has all the skills needed to produce radio-worthy recordings! "-NZ Musician Magazine. Combining astute songwriting, accomplished yet unflashy musical dexterity and engaging vocals his sound has broad appeal. Indie Soull has performed at countless venues across London, New York and Australasia and has recorded several live and studio albums of original material that are available on most major music sites including itunes, amazon and spotify. 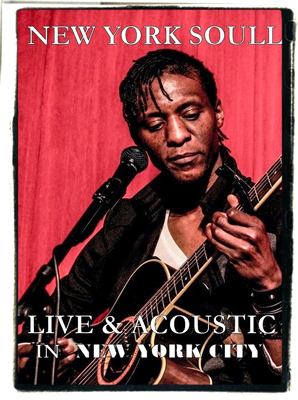 His latest album "New York Soull" incorporates the best of his most recent live performances and studio sessions. The album "New York Soull" by Indie Soull incorporates the best of the artist's most recent live performances and studio sessions.